The purpose of this article is to provide a quick and easy to follow step-by-step guide to extracting text strings from a WordPress plugin for translation from the command line. Although this is documented in the codex: I18N for WordPress Developers and Translating WordPress, those articles are somewhat lengthy and the first time I was asked to internationalize a plugin it took me some time to find the actual steps to generate my POT file. The codex article might be better if you’re translating a plugin that you have listed on wordpress.org, but since the majority of my plugins are either custom for a client or myself, or listed in the WooCommerce shop, I have to do my translation on the command line. Code the plugin/theme using the translation functions __('message'), _e('message'), etc. Include a call to load_plugin_textdomain() as I describe in my article Writing a Plugin That Can Be Localized by WPML. While coding a plugin or theme it’s always good practice to use the special (and odd looking) localization functions whenever displaying text, with the two most common being: __('message') and _e('message'). Some additional useful functions to know include _x('message', 'context') which allows you to provide some context information for translators to provide them with additional comments needed to distinguish between the same word used in different contexts, for instance. Another one is _n('message', 'plural', $number) which is used to retrieve the singular or plural form of a string, based on the amount $number. There are a number of variations of these functions, as well as ones specialized for use with HTML attribute values for instance. You should also use an appropriate text domain string based on your plugin name. If your plugin is called My-Plugin, your text domain might be ‘my-plugin’ for instance. Where /path/to/my/plugin/ is the path to the plugin you wish to localize and will generate a POT file named like: my-plugin.pot. Rename it to match your text domain, and add the language suffix you want (or let your translator do this): ie my-plugin-de_DE.pot. Send your POT file to the translator, or translate it yourself if you have the knowledge. If you need to edit the PO file you’ll probably want to do so with a tool with UTF-8 support, depending on your target language. I had good luck with Poedit for this. And visit your site to verify the translation is being picked up. One possible stumbling point for developers: your translation files may not be picked up if you symlink your plugin into your webroot as I do. Working with WPML, so that the site language isn’t hardcoded in your wp-config.php file and can for instance be selected by your site visitors, is a simple matter of making the load_plugin_textdomain() call in the correct place. See my related article Writing a Plugin That Can Be Localized by WPML for details. Poedit will show you the obsolete and new strings. You can choose to delete the obsolete strings, or leave them (they’ll be commented-out in your new PO file) and translate the new strings. For a tip on supporting WPML see my article on Writing a Plugin That Can Be Localized by WPML. 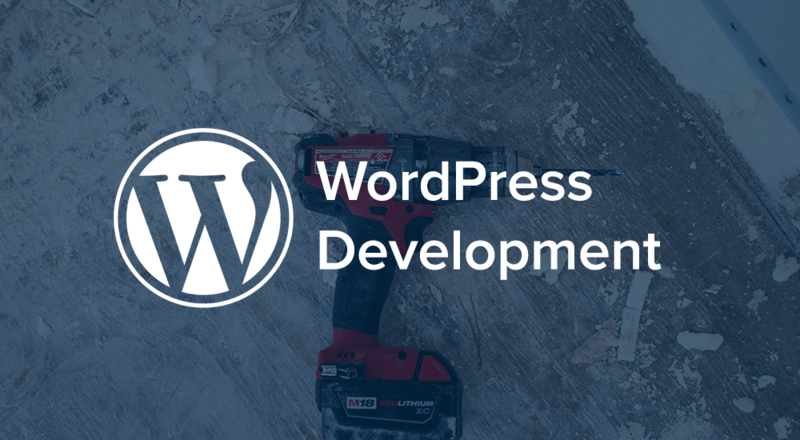 Hi Justin, do you have to install the tools folder to any particular location within WordPress? After a lot of advanced googling to even get PHP to run from the Windows command prompt, I get a lot of errors about files not being found. Hey Kathy, well I know that I always first cd to the directory containing the makepot.php script and execute from there. But, trying to get it working on Windows, and not only Windows, but their sorry excuse for a command prompt? Oh man, my first recommendation would be to get a better dev machine (I love my macbook pro), if that’s not an option I’d suggest installing a linux-like command prompt for Windows. I used to use Cygwin back in the day; not sure what the one of choice these days is. Good luck! Ahh well. The errors are for files that are in the includes folder…. like po.php so totally weird. The command prompt is pretty crap, but otherwise it is a solid OS. I’ll never get a Mac! 🙂 Would switch to Linux mint but my hardware seems to be poorly supported due to closed source drivers. I followed your step by step way to translate my plugin, but it doesn’t work. The files are generated correctly (I think) but wp doesn’t take them in account. what is the aim of convert the pot file into a po file, aren’t they supposed to be the same ? I don’t understand very well that step. I replaced poedit with poeditor (https://poeditor.com/). I find it better and fresher, it also has a wordpress plugin and there’s no need to download and install the software, it works online. Actually this version of makepot generates text strings differently than wordpress.org plugin admin. Basically standalone makepot does not split long strings, so poedit will have error reading the pot file.